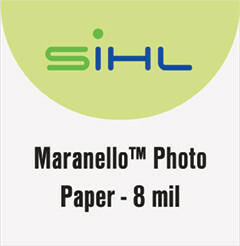 An opaque white, ink jet coated photo base paper. Available in Gloss or Satin Coated on the front and back. It has a special coating to facilitate immediate drying and handling. Accepts hot and cold laminates.